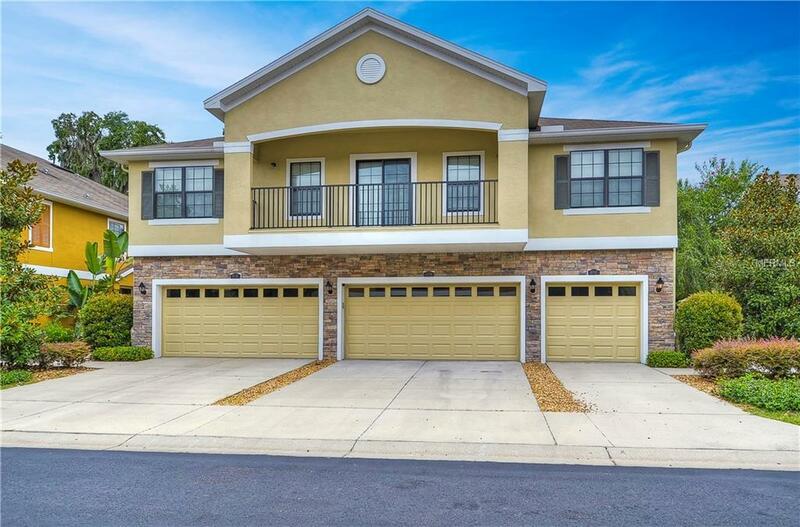 This beautiful maintenance free townhome in FishHawk Ranchs Kinglet Ridge is a must see! Stepping through the front door into the bright open floor plan you will see why this DR Horton floor plan is a favorite! Downstairs is a wonderful open design offering a large great room with views of the kitchen & dining room area. The upgraded lighting & ceiling fans throughout the home, along with bountiful oversized windows, gives this home a light & airy feel. The kitchen features espresso cabinets, granite counters, stainless appliances, tiled back splash, built in microwave, breakfast bar & more! When you retreat to the master suite upstairs you will be able to relax in privacy & enjoy the attached master bathroom complete with double sinks, granite counters, large walk-in shower & walk-in closet. Two more large bedrooms are also upstairs. A second full bathroom also features granite counters! Updates and features throughout include: neutral paint welcoming all your decor, oversized tile for easy cleaning and extra storage in the large 2-car garage! Not only is this home beautiful, but this gated community is a dream with access to FishHawks many amenities such as pools, outdoor cabanas, tennis courts, paved trails, recreation buildings, playgrounds and the list goes on & on. Maintenance includes lawn care, exterior maintenance & roof! Come and see for yourself! Listing provided courtesy of Signature Realty Associates. © 2019 My Florida Regional Multiple Listing Service, Inc. All rights reserved. All listings displayed pursuant to IDX. All listing information is deemed reliable but not guaranteed and should be independently verified through personal inspection by appropriate professionals. Listings displayed on this website may be subject to prior sale or removal from sale; availability of any listing should always be independently verified. Listing information is provided for consumers personal, non-commercial use, solely to identify potential properties for potential purchase; all other use is strictly prohibited and may violate relevant federal and state law. Data last updated 2019-04-23T08:16:25.463. Gate Arty & the Group - Keller Williams Realty is Central Florida's most innovative real estate team.